The Eldo put a fitting close to their 2015 title bid, taking down defending champs KBUT on Tuesday night at Gothic Field. 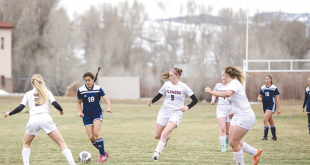 The Eldo ran roughshod through their opponents during the 2015 postseason, taking down everyone that stood in their way—they were a team possessed. 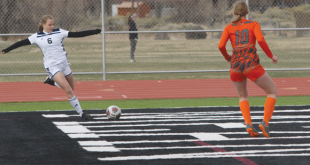 Meanwhile, KBUT spent the majority of the their playoff experience battling through the loser’s bracket to earn a shot at the title against the Eldo. Heading into the showdown, it was tough to say who had the momentum advantage as both teams were on serious winning streaks and showed no signs of slowing down. I guess the only discernable advantage would go to the Eldo. Due to the double-elimination format of the playoffs, if KBUT wanted the title, they would have to take down the Eldo two games in a row. Not an impossible feat, but definitely a difficult one. KBUT power hitter Will Mixon made it known that he had no intentions of backing down and opened the scoring in the top of the first with a solo shot to get the KBUT ball rolling. But the Eldo, a rec league juggernaut, proceeded to rattle off a flurry of hits in the bottom of the first, going for broke from the get go. Everyone was hitting and running, capped by RBI base hits from Andrea Rybarz and Will Jones to set the Eldo up with an early 6-1 lead. But KBUT was there for a reason and certainly not by a fluke, and they immediately returned the favor in the top of the second inning. Shawn Harrington and Betty “Betty who? Betty f***ing Sue!” Gurk combined for back-to-back base hits. John Hopper pushed Harrington home with a sacrifice fly RBI, Andy Frank roped (thanks Hopper) an RBI single and Scott Stewart slapped a two-RBI base hit to right to pull KBUT back into the game. The Eldo brought out the big sticks in the bottom of the second inning, scoring three runs off of two home runs from Matt Laut and Vince Scola for a 9-5 Eldo lead. Eldo player/manager Patrick Cashion then put the word out to his team heading into the bottom of the third inning. “Let’s go guys, I want four runs here,” he directed and the team looked to follow his orders to the T as Ian Baird led off with a base hit and then scored on a single by Jones. Sebastian Zurdweg then singled and scored on a base hit from Kele Thorsen for an 11-5 Eldo lead. At that point the Eldo train was moving and looking to blow the game open until KBUT outfielder Claire Karban chased down a high fly ball in deep centerfield to bring the train to a screeching halt. From that point on, the Eldo bats fell silent as the KBUT defense tightened up and they started clawing their way back into the game. Frank doubled and scored off a single from Stewart in the top of the fourth inning. Mixon doubled and scored on a sacrifice fly from Harrington and Hopper cracked a two-run inside the park home run in the top of the fifth inning. Ed Dujardin tripled and scored when Meredith McNamara tapped a single to centerfield to pull KBUT to within one in the top of the sixth inning. And after the KBUT defense turned a 1-6-3 double play in the bottom of the sixth, the game was there for the taking when they stepped to the plate in the top of the seventh. But the Eldo was not about to let this one get away. They had yet to lose in the post season and they certainly weren’t going to lose with the title on the line. The Eldo defense turned the first two hitters away but Gerry Heal and Reed Betz connected for base hits to put runners on second and third with two outs and down 11-10. 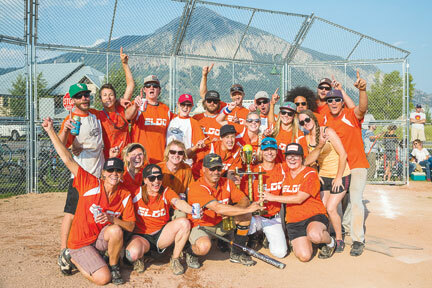 An infield pop looked destined to drop fair and would load the bases for Dujardin but Carly Webb, probably the best third baseman, man or woman, charged in on the ball and laid out for the grab to seal the 11-10 Eldo win and the 2015 rec league title.